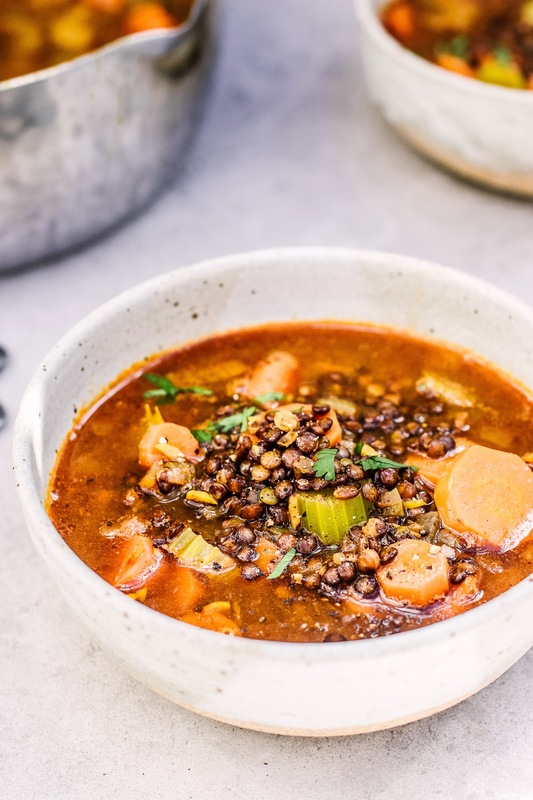 This Winter Spiced Lentil Soup is so so easy and is definitely going to be a go to this winter. 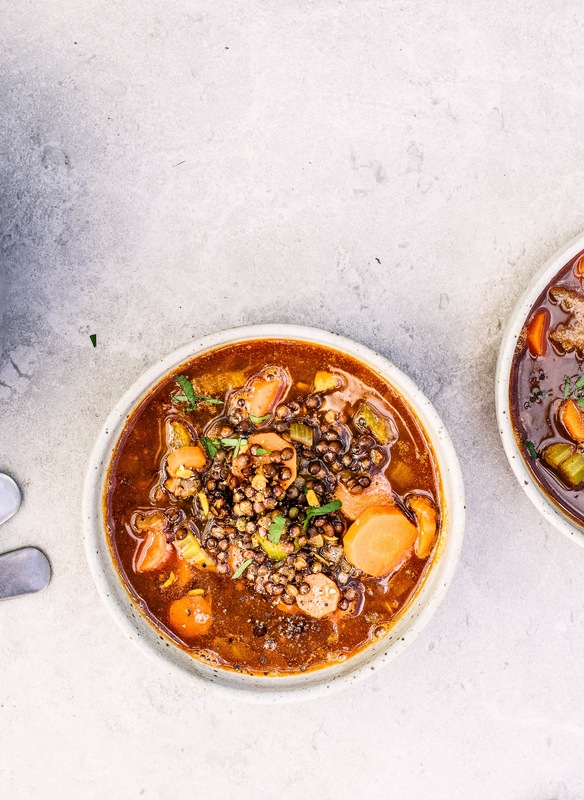 It’s the perfect level of hearty but not at all stodgy and has so much flavour. Add the olive oil to a large pot on medium heat. Dice the onion and add it to the pot. Cook for a few minutes until starting to soften. While it’s cooking, chop the celery and carrots. Then add them in and toss well. Mince the garlic and grate the ginger. Add them to the pot with all of the spices and toss everything. Cook for a few minutes, letting the garlic cook but not brown. Add the lentils and tomato paste and stir everything together. Then pour in the vegetable stock. Let it all simmer for about 30 minutes, until the lentils and carrots are tender. This looks yummy. Defo making this tomorrow! Thanks Indy! Thank you for this delicious filling recipe. I’m a coeliac and love your book! Looks yum. Does this freeze well? Can you use red lentils? This sounds a great recipe! Thanks Indy – will try both with red and green and see which I like best!